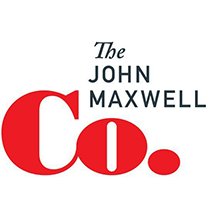 John Maxwell explains what the "Rule of 5" is and how leaders can incorporate it into their organizations. Ask most people about their company’s mission statement, and you’ll receive a blank stare. It’s probably hanging on the wall somewhere, but no one even realizes it’s there. Pausing to consider the organization’s mission may help to orient a leadership team. However, in terms of day-to-day operations, the organization’s stated purpose is practically worthless. Leaders should quit agonizing over the wording of an abstract mission statement that almost no one will read and that will have almost zero impact on their people. Instead, they should concentrate their efforts on developing and following a “Rule of 5” for their company. What’s the Rule of 5? Picture a tree in your backyard that needs to be cut down. If you grab an ax and take five good swings at the tree each day, eventually you will chop it down. It may take a month to fell a small tree, while a big tree may take years to topple. The size of the tree isn’t the issue; the real question is whether or not you diligently take five swings at it every day. For leaders, a primary challenge is to identify the five activities most essential to success, and then to practice them daily. The Rule of 5 doesn’t ask: “What are the five things I would like to do.” That’s a question related to passion. Nor does it ask: “What are five things I should like to do? That sort of inquiry uncovers your values. Rather, the Rule of 5 asks: “What are the five things I must like to do in order to be successful?” Posing this question cuts to the heart of the daily behaviors necessary to win in your chosen profession. If someone has raw talent as a writer, and practices these activities long enough, they’ll eventually find an audience for their work. The Rule of 5 is more tangible, behavioral, and measurable than a mission statement. At the end of the day, you can review the Rule of 5 and immediately assess whether or not you have followed it. Ultimately, your organizational culture will be dictated far more by the things you do daily than by the mission statement you post on your walls or website homepage.